Tiffer's Upholstery LLC / Thread It Upholstery - Slip cover it ! Slip cover it ! with Tiffers ! Tiffer's Slipcovers are custom and look like Upholstery. This simple dinning chair has an upholstered seat. 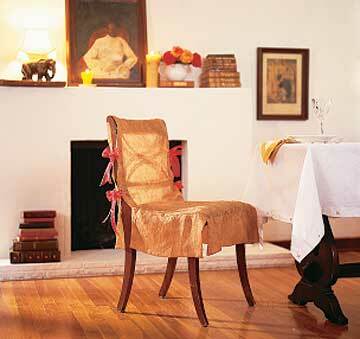 The slip cover refreshes the old upholstered chair. This chair is the mid-century dinning room chair.